After two decades of mainly portraying world’s leading musicians and actors, Søren Solkær set out to do a portrait anthology of the pioneering icons in Street Art across the globe. ‘SURFACE’ is the result of a three-year journey photographing street art stars in cities they consider their creative platform like London, Los Angeles, Miami, Sydney, Melbourne, Amsterdam, New York, Vancouver, Copenhagen, any many more. 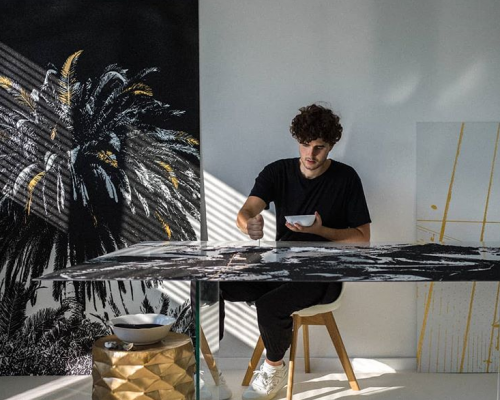 Gold, sand and glue…with these materials the young german artist achieves his break through into the global art market. By the age of 25, he opened his first solo exhibition in the known gallery district Chelsea in New York City in cooperation with Philippe Hoerle-Guggenheim. MUCA presented more than 20 of his most memorable artpieces in a major exhibition. His original intention behind the making was – “Do it differently”, which brought him to an unique technique of making collages. Therefor he uses white and black sand in combination with gold foil and special glue to create a delicate result. For centuries, of course, portrait painting was art. But by the second half of the 20th century, it had almost disappeared. Photography and technological development seemed to outstrip the medium of painting. In today’s digital world where an image is here today and gone tomorrow, a portrait seems like the new counter culture. So why paint someone’s picture in the age of the selfie? Since 2015 the artist’s group super+ performs the “Flight of the Phoenix” at different places like the English garden, the Kunstarealfest in Munich, in the Pinakothek of Modern Art in Munich, before the Eiffeltower in Paris or also like in February of 2018 in the middle of the Indian ocean: in Mauritius. The MUCA (Museum of Urban and Contemporary Art) shows resulted photographs, as well as the videowork resulted in Mauritius which is projected on a 20 x 6 metre canvas. 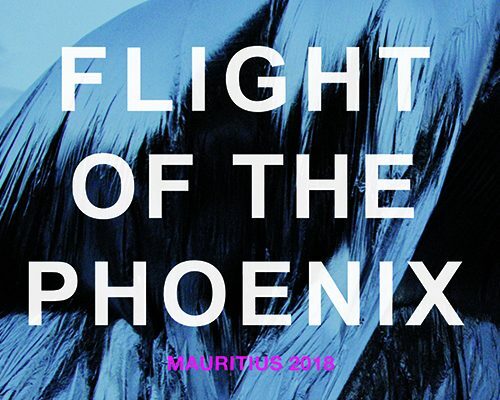 Therefore the exhibition in the MUCA will make „The flight of the phoenix“ for the visitors postexperienceable. 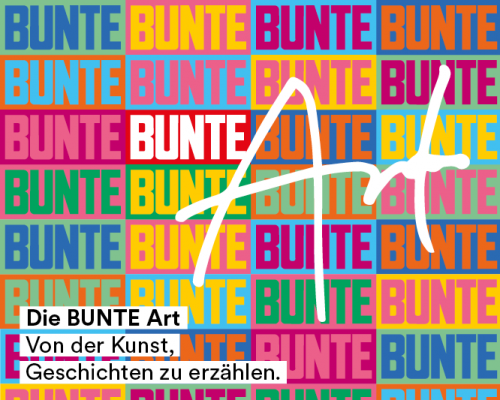 Referred to the idea of MEDIA IS ART, the exhibition shows intersections of BUNTE and art. The illustrated truth is contrasted with an abstract staging – multimedia and scenographic. 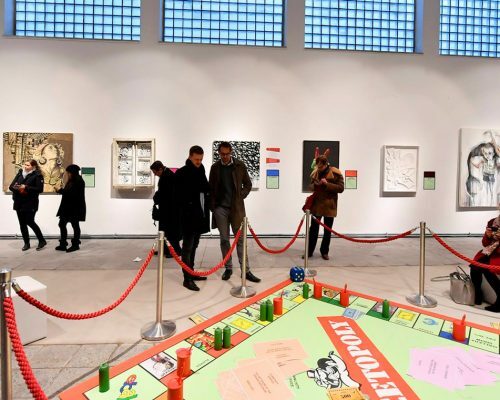 Works by Andy Warhol, Anselm Reyle, Benjamin Roeder, Hell Gette, Laurence De Valmy, Mia Florentine Weiss, Michael von Hassel, Olaf Nicolai, Paulina Nolte, Roger Fritz and Stefan Strumbel will be on display. HERAKUT is a collaboration since 2004 between two german graffiti artists: Hera and Akut. For many years they have been internationally celebrated top stars of the urban art scene. In the Museum of Urban and Contemporary Art (MUCA), the artist duo HERAKUT presents an extensive new exhibition, specially compiled for the MUCA – full of melancholy and humour. 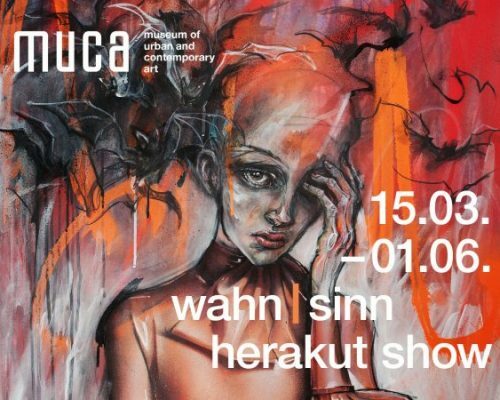 The exhibition reflects the feelings of their generation, staggering between genius and madness under the title: WAHN|SINN – HERAKUT SHOW. In the last seven years Jimmy Nelson visited 61 indigenous cultures and traveled to 27 unique places around the globe. From the Northern reaches of Siberia with the Khanys reindeer herders, to the deep jungles of the Amazon with the Pataxo. From the Himalayas with the Laylap in Bhutan to the last hidden outposts of Africa with the Mundari in isolated South Sudan. In the street art words have a long tradition in the writer scene, where words evolved to their own pictorial language. Many artists of the street deal with the art of writing, develop it further up to high art of calligraphy. 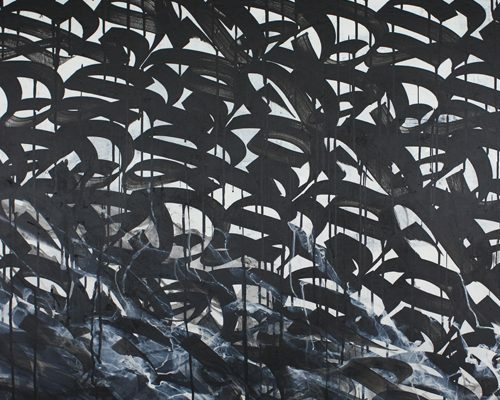 From the fusion between graffiti and calligraphy, the term calligraffiti was characterized. Representatives of this “genre” are inter alia; Patrick Hartl, Said Dokins, Stohead, JonOne, L’Atlas, Tarek Benaoum, Jan Koke, Jiwoo und Creepy Mouse. Stohead has already shaped the façade of the Museum of Urban and Contemporary Art (MUCA), related to “The Art of Writing” exhibition. MUCA founder Christian Utz has been a passionate art collector for more than 25 years. His personal task is to musealize urban art. 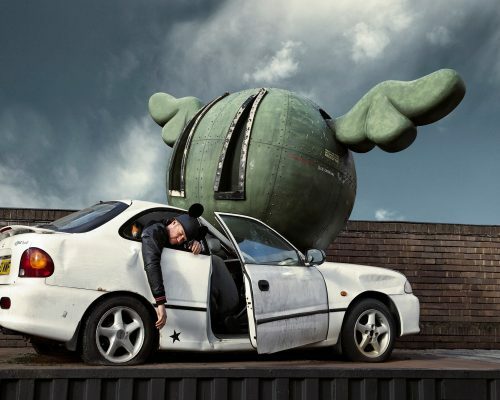 Therefore it is obvious that the MUCA invites to a “Collector’s Show” in Germany’s first museum for urban art. 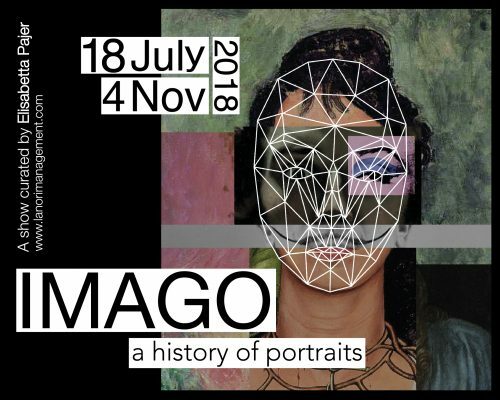 In addition to selected exhibits from the MUCA collection, the exhibition will show wonderful collectors’ records on Banksy, J.R., Shepard Fairey, Vhils, and others. The exhibition is accompanied by collector talks and guided tours with the personally present collectors. At our opening exhibition, Streetopoly (Part I), visitors have already met a selection of Urban Art artists and their works. In Streetopoly (Part II), as an extension, they will now be able to gain deeper background information in a playful way. Visitors not only walk from one image to another as a passive viewer, but are also included as an active part in the exhibition. The visitors are thus directly on a “playing field” and act interactively within the exhibition concept – practically as living game character.